There's really nothing quite like popping the cork on a new bottle of champagne. The way it flies across the room with just the push of your thumbs against the cork, seems to give you an extreme sense of power and gives your life a new sense of purpose. Well, now you can get that same beautiful experience each time you open a bottle of beer. 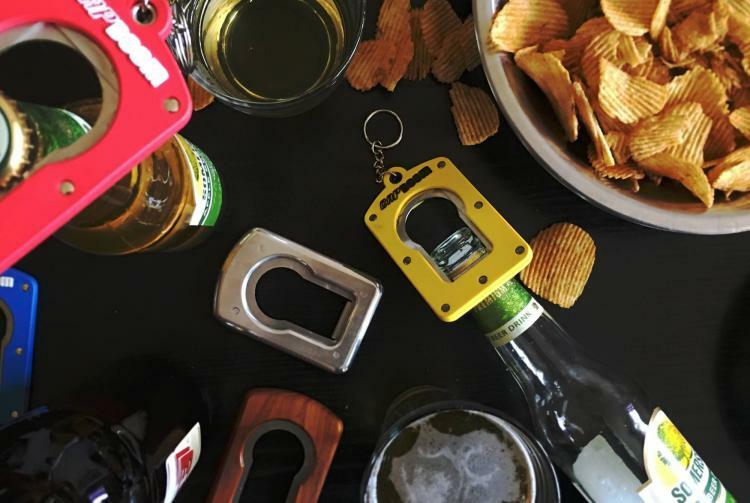 The CAPBOOM is a new unique bottle opener that allows you to fling your beer bottle cap across the room just like a champagne cork. 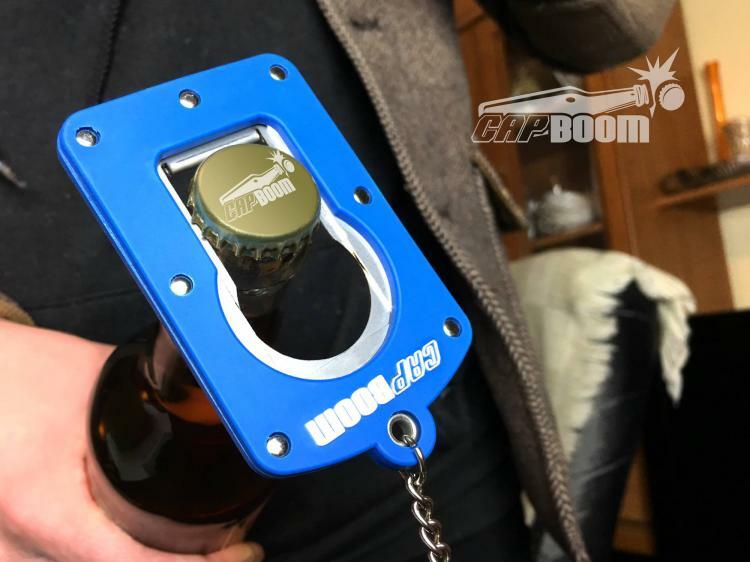 To use it, simply push the device over your beer bottle neck just under the cap, slide it over so that your bottle cap is over the other end of the CAPBOOM, and slap down onto the other end of the device to pop your cap off and launch it across the room. You can now drink every beer as if it's a celebration of some sort, whether you're at a party surrounded by 20+ friends, or drinking alone at home while watching infomercials on a bean-bag chair with a cold hot pocket to the side of you. 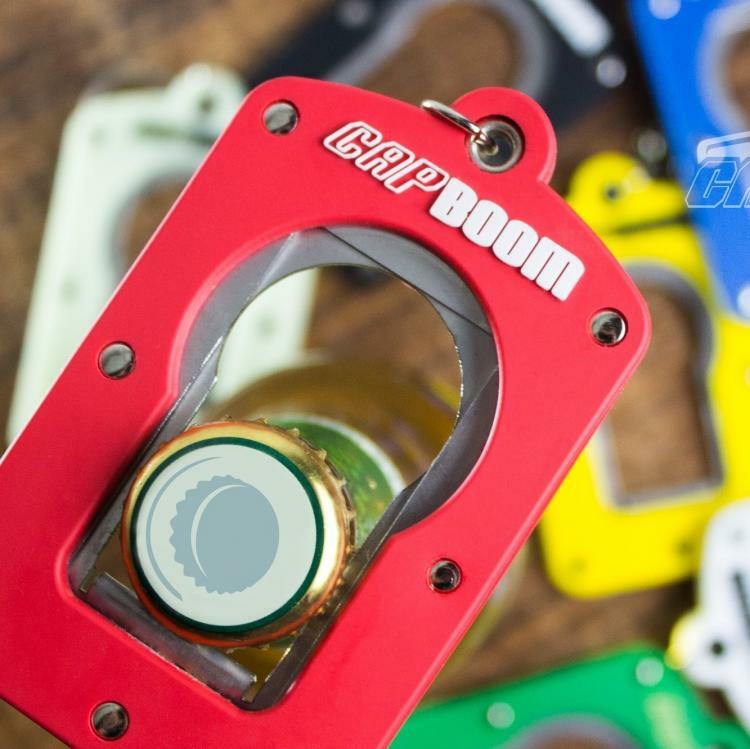 A perfect gift idea for someone in college, the CAPBOOM works great for parties, bar owners, events, beer makers, or just for personal use. The bottle cap launcher comes in 8 different colors to choose from, and they even have two different versions where it has a wooden housing instead of plastic. 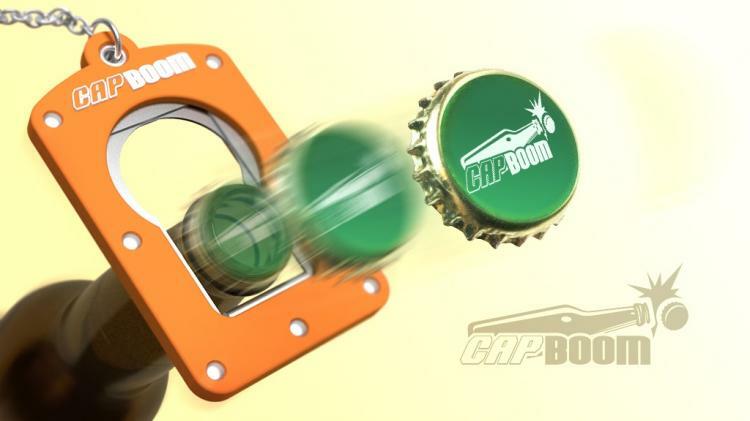 The CAPBOOM can even be used as just a regular bottle opener if you for some reason don't want to pop your bottle off in celebratory fashion. But when you are ready to celebrate, the cap will launch off your bottle at speeds of up to 60 mph, and reach distances of up to 33 feet in the air. The CAPBOOM is currently in a funding phase on Kickstarter with an estimated delivery date of March 2017, so go reserve yours now, and be sure to check out the cap launcher in action via the video below.